We often forget how important creativity is. Every child is creative, but somewhere in live we lose our creative abilities. I think our creativity gets crushed under the massive pile of books that we have to learn by heart in various educational institutions, and after a while we are so focused on learning things by heart and to do everything the right way, and suddenly there’s no room for creativity. While we have the gift of life, it seems to me the only tragedy is to allow part of us to die – whether it is our spirit, our creativity or our glorious uniqueness. I don’t think we realise how valuable creativity is in our personal lives and in business. Let’s start with taking a look at the importance of creativity in the business world. Creativity is vital in the creation of new products, new ideas, advertisement and problem solving. If you look at it creativity is vital in every process of most businesses, because most businesses follow this pattern. You first have to create the product or come up with an idea of a service you want to sell. Then you have to advertise the product, and you always have to solve problems, and many of these problems won’t have a straight forward solution, and therefore you have to be creative. The personal benefits of creativity are different. While you in business use creativity as a tool to succeed, the personal benefits of creativity are joy and peace. Creativity is a great way to express your emotions, and think we all have experienced how good it’s to express what we fell. This isn’t about how you express your emotions, but that you do it. 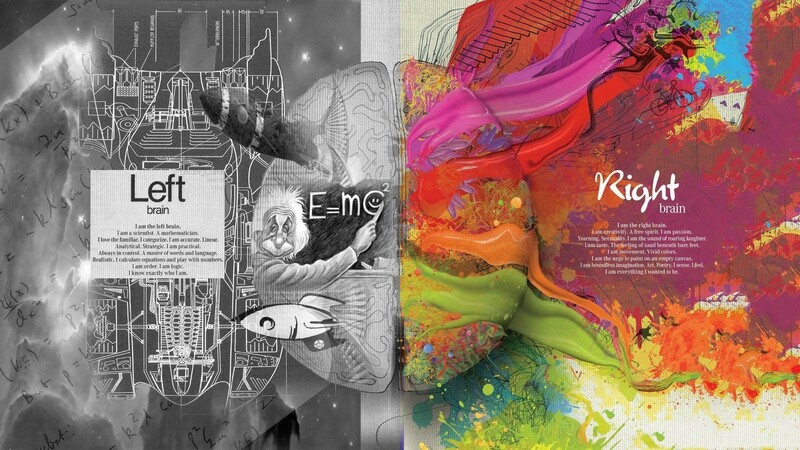 Another good thing about being creative is that you use the right part of your brain. The left side of the brain is the side you use the most in the daily life, and it’s main tasks is logic, facts, math and language, and after a long day at work this part of the brain will most likely be tired, and therefore being creative and access emotions and imagination will rest the left part of the brain, and use the right side instead. This will be relaxing and give you new energy. Personally I try to paint as often I can. I’m not a great painter, but I enjoy it, and it’s a great emotional release. What creative spare time activities do you have? William Charles Blackwell · Encouragement, ideas, thoughts and life in general.